People are addicted to social networking sites, popularity of cloud storage is going up and more & more people are inclined to use streaming apps like YouTube and Netflix. Believe it or not, your smartphone is literally of no use without internet connectivity. 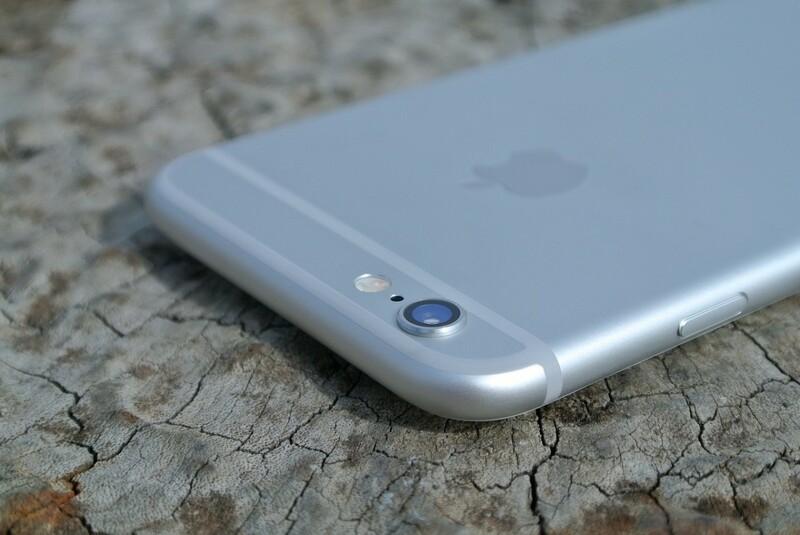 However, unlimited data plans have seemingly disappeared and users are stuck with limited usage data plan options. Although you can exercise some control on your usage of the mobile data, still you always run a risk of over using and being slapped with hefty data usage charges. This could be more frustrating than it sounds and can take the fun out of using your android phone. Despite all this, android users still have reason to cheer; you can still restrict your data usage with proper configuration of your device. You will be surprised to find that you are using your mobile data at a much lower pace with just a little fine tuning of your phone settings. 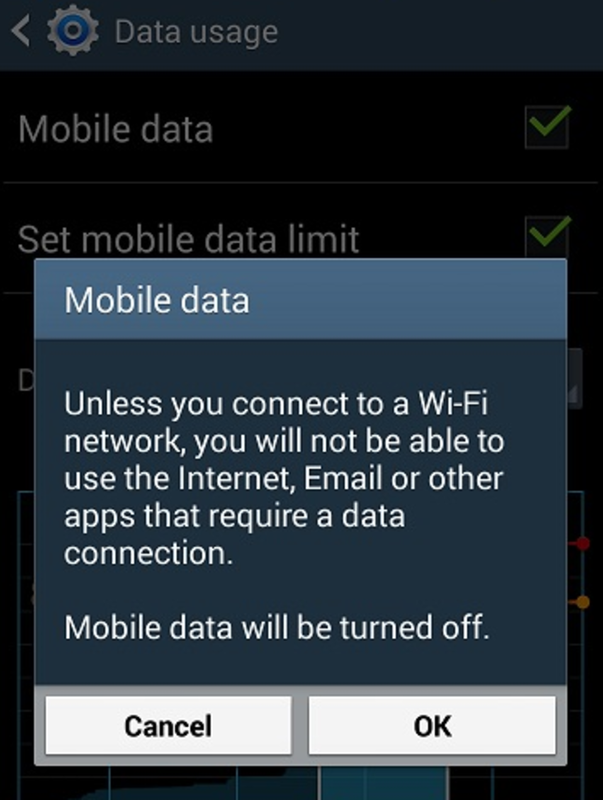 Let’s take a look at the tips for reducing mobile data usage on your Android phone. It becomes imperative to understand what mobile/cellular data is, before we go ahead and demonstrate how we can restrict its usage. Mobile/Cellular data is internet connectivity on the go, provided by your mobile/cellular service provider. It gives you access and connectivity to the internet wherever, you go (as long as the network is available). It also gives you the freedom to break the shackles of wired connectivity. However, the devil lies in the detail. It is far more costly to use mobile/cellular data than a broadband. So it becomes important that the mobile/cellular data be used diligently to avoid hefty charges for the same. There are times when you do not use your phone a certain period of time, like while you are driving or sleeping or you are in a meeting. All you have to do is, go to the notification panel on your android phone and turn the mobile data option off as shown in the picture. You can turn the mobile data off to avoid excessive data usage at these times, in case you are not expecting an urgent e-mail, which you will not be able to check, if you are not connected or online. 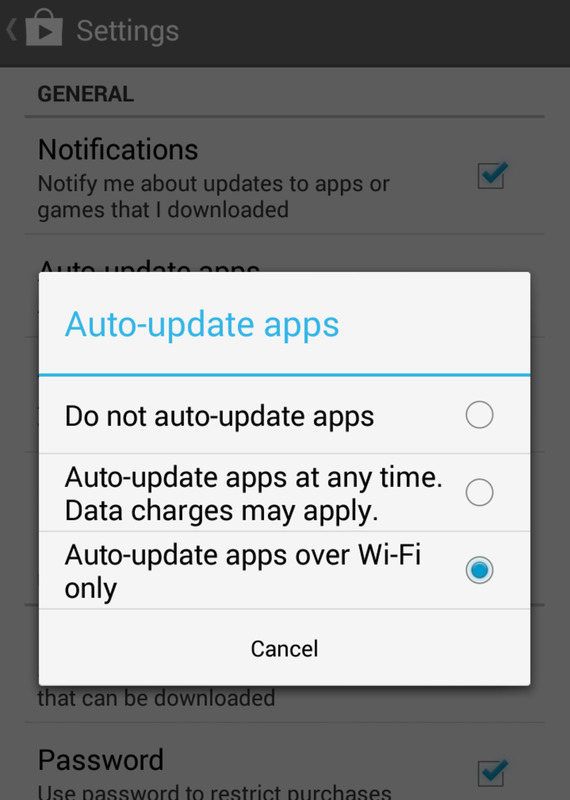 You also have the option to not auto update the apps at all. However, if you do that, you will have to update the apps manually and that could be time consuming and even frustrating at times. Moreover, you may not remember to update the apps at all at times and may lose out on important updates for some apps which may prove to be critical. There are apps that run in the background and eat up your mobile data without you even knowing. In the more recent versions of Android like the Ice-Cream-Sandwich and the later versions, you can actually check which apps are using how much data by going to the Data Usage option in settings and clicking on an individual app listed there. Take a deep breath and look at the numbers beside the pie chart. The number next to “Foreground” relates to the data used while you are actually using the app and the number beside “Background” tells you about the amount of data used while the app ran in the background. You can check these stats for individual apps and if you observe that a particular app is using more data than you would like it to while running in the background, you can go to where it says ‘Restrict background data’ and put a check in the box next to it. People are becoming more and more particular about their mobile data usage on their android phones. As a result a lot of apps have started offering caching and let you download data over Wi-Fi at an earlier time and makes it available at a later time when you are offline or are using mobile data. Spotify and YouTube are two such apps that lets download playlists or videos on your watch it later list. Most of the apps that use huge amounts of data, offer preloading, the only thing you should know is to look at the right place to find it. You can easily go into the settings menu and find it for apps like YouTube on most of the android phones using Android Ice-Cream-Sandwich or later versions. This could save you large chunks of mobile data and may help reduce your monthly mobile data usage and could lead to tons of savings in the long run. 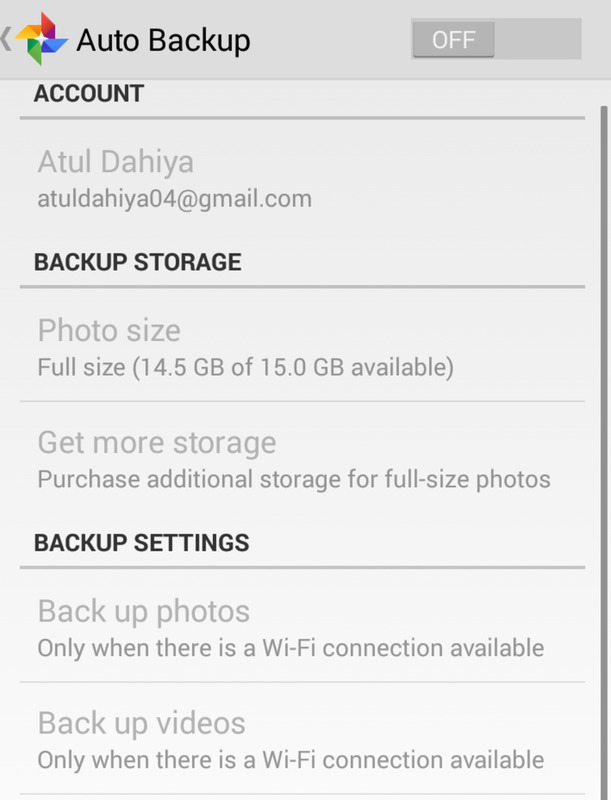 Android offers you an option to keep a track of your mobile or cellular data usage. It indeed is a boon in disguise. 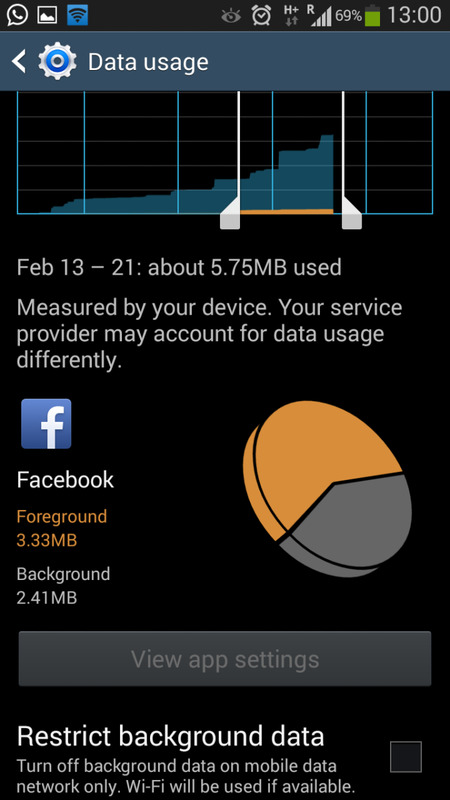 Through the Data Usage option you can actually track your usage and see which app used how much data. 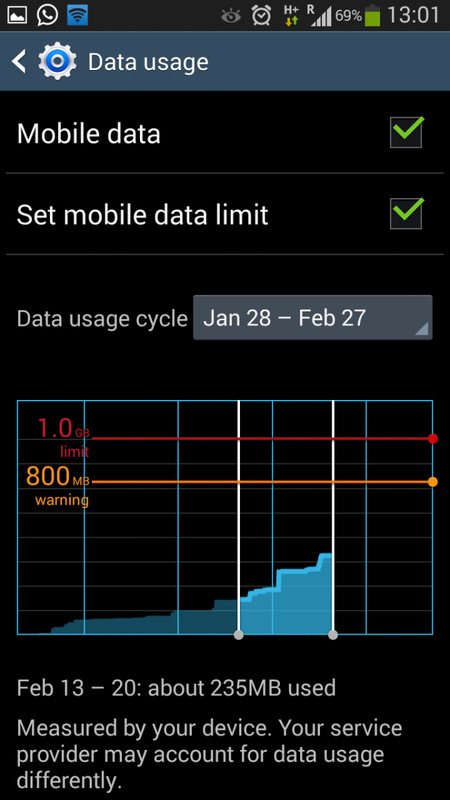 It also allows you to set up a limit on your data usage and warnings when the data usage reaches a certain pre-determined stage. You could configure your android phone in such a way to so as to warn you when your data usage has reached its 80% limit and completely turn the mobile data off when it reaches 100%. Although, the data usage option on your android phone may account for data in a different manner than your cellular operator, it still keeps you aware of your approximate data usage and prevents over shooting your limit. Unless absolutely necessary, you should abstain from downloading large files like songs and videos while using mobile data. Rather you should save such files for downloading at a later time when you are connected to a Wi-Fi network. You would be doing yourself a favor in doing so and it would go a long way in preventing over usage of mobile data. 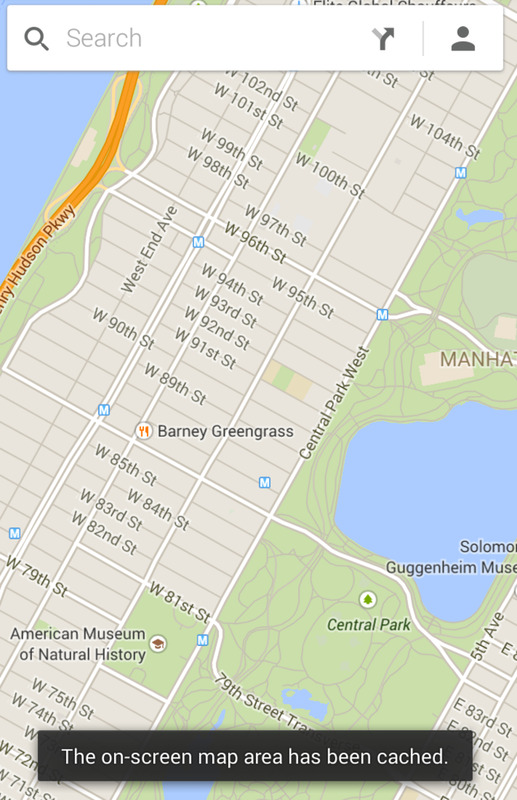 The Google maps now allow you to cache maps on your android phone. Although it takes some time and data to download a map, but once downloaded it is available for offline usage and navigation. You can download the maps while you are connected to a Wi-Fi to save data usage when travelling. You just have to zoom in to the portion of map that you want to cache and type "ok maps" in the search bar and the map will be cached for offline usage. You may also use navigation apps that run offline like Sygic and save you the trouble of using a mobile data connection for navigation while on the move or remember to download or cache maps for offline usage on your android phone every time you plan to travel. Some websites are not optimized for mobile and may use up a lot of your mobile data, while some websites may eat into your data through heavy advertisements. You can avoid these hassles by using browsers that allow data to be compressed for android phones before it is downloaded on your device or handset, thereby reducing the data usage considerably. Although at times compression might mean compromising on quality, it still goes a long way in saving precious cellular data and thereby help to reduce your monthly cellular data usage. 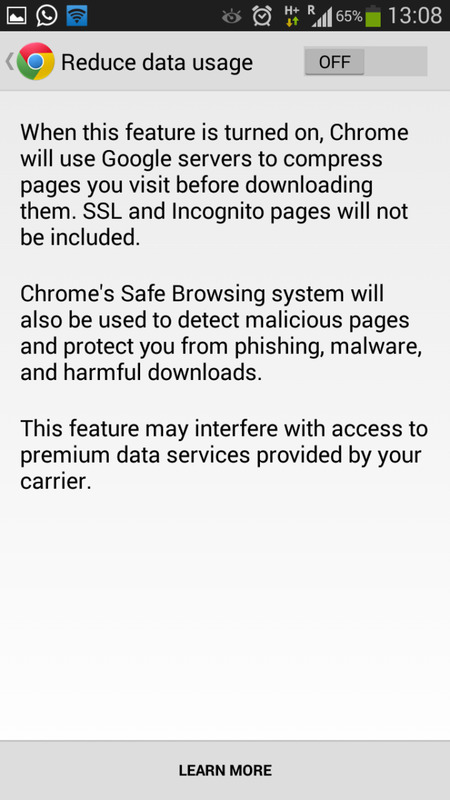 Opera and chrome are examples of such browsers that offer data compression. Check your account sync settings. Probably you set it to auto-sync. You must ensure that the Auto-Sync should be kept disabled for some apps like Facebook and Google+ as they use it to sync heavy files like photos and videos. This makes them data guzzlers, which in turn might take its toll on your mobile data. Therefore it is only wise to keep it disabled for apps that don’t really need to be synced. 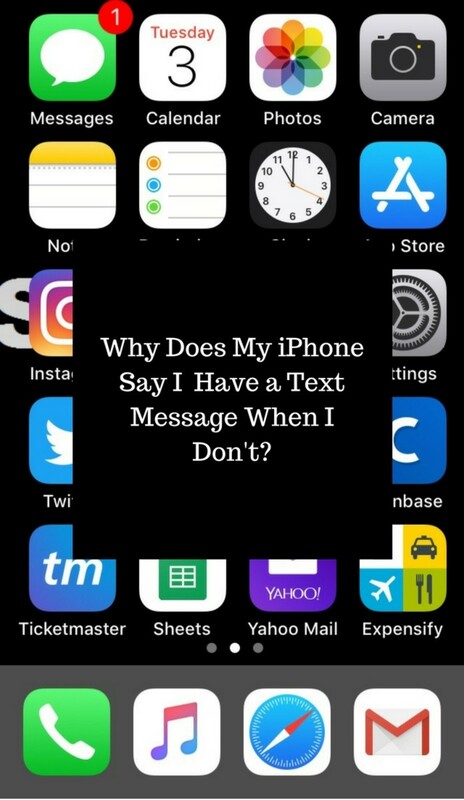 Why Does My iPhone Say I Have a Text Message When I Don’t? As I am running a hardware repairing service centre So there are more people land to my business place having the issue in operating mobile device and data mange. So this application help me answer all question. I have followed all those directions since I got my phone and still some apps continue to sync and update with both wifi and mobile/cellular data TURNED OFF. I can't get Facebook, certain news sites, the weather sites, Amazon to stop sending things to my phone even when I have it set not to. These are eating up my data usage too. If you want a messenger app with the least data consumption then Zangi is for you. Activate "Low data usage" mode and you can make voice and video calls everywhere from 2G/EDGE to noisy Wi-Fi and Satellite networks. truly agree and useful collection. Thanks for sharing awesome post. 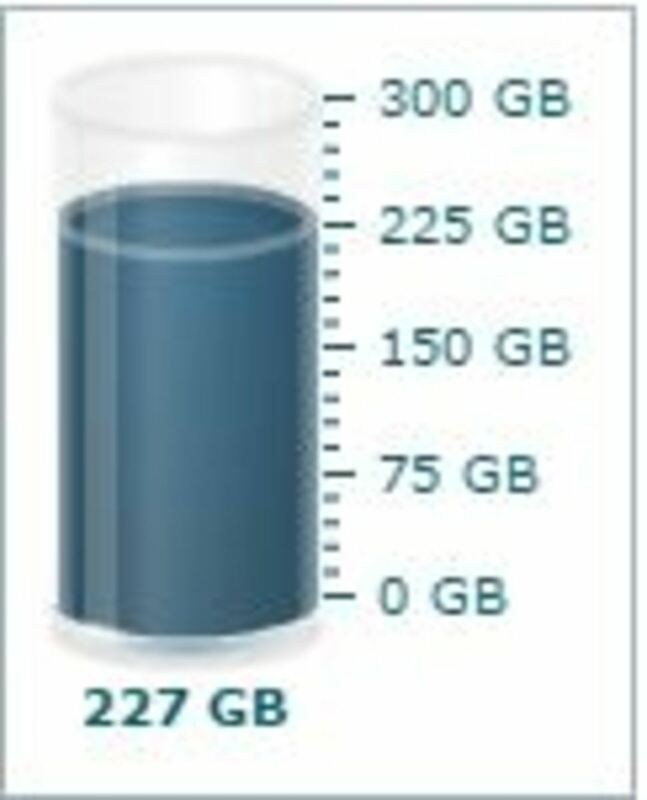 It's really very helpful to me for reducing my mobile data usage. I found the same information from here http://www.megebyte.com/how-to-set-data-usage-limi... which is also helpful to me. Thanks Shelly...am glad it helped you! Thanks for this, awesome hub. I needed only one month of overused data to provide an expensive reminder to always watch my data use! Tested on iPhone 5s, Must show similar results on any android phone as well. No settings can take away the fact the APP always refreshes and syncs and downloads DATA in background. Even if background operations are off, they will do it when you open the App and you will have to WAIT till your FB profile data is sync'd with the APP on your phone. 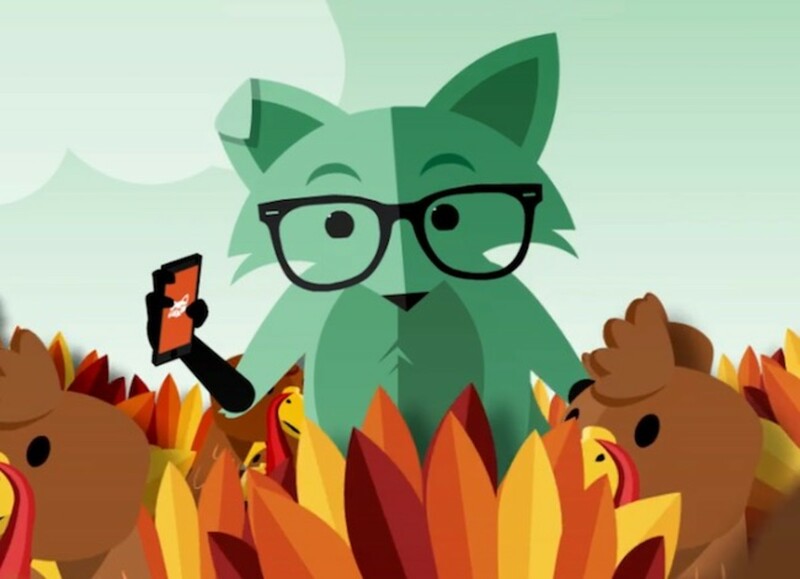 Push notifications + background operations are Battery & Data eaters. Data Plan = Money in the world of Smartphone. If i may Ask, Can you think of using FB on the Mobile Browser instead if you were to login only once into FB and 1 TAP takes you straight to LOGGED-IN FB Mobile Website for a Battery Friendly and Data Friendly approach to FB? So FB instaly became 131MB on my phone without even browsing it for ONCE. I tried a new app called "what's local today", it provides a mobile website to access fb,twitter,linked in,google+,tumblr on 1 screen. SEE for yourself what were the results of the same test on my iPhone 5s. After login and browsing on fb - 102 MB. It presented a mobile website of FB where i only need to login once and it opens fb for me the next time i open this app. It's a new style mobile browser. login once only. then fb mobile website available at a single tap. uses 35-40 % less data than fb native app. "what's local today" Doesn't run in background at all because its a browser loading a simple page. Messaging is available but no push notifications because of the mobile website version of fb. "what's local today" is a cool, battery & data efficient way of using fb and other social media. Only need to login once and browser automatically opens it next time for you so it works just like an APP ICON. I have deleted the FB + other native apps from my phone and the battery has improved significantly. what's local today works well for me as FB is still just a TAP away & provides Messaging as well. please try it for yourself and you shall SAVE YOUR MONEY by consuming lesser Mobile DATA for browsing the web smartly. USE WEBSITES and not Apps if you want to save money on MOBILE DATA plans. The article is very informative, but, what do I do when I receive a warning about my data usage? is there some way to reduce it? Our team at Opera have a pretty neat app called (Opera Max). It uses a unique compressions algorithm to help you save your data up to 50% and extend the life of your data plan!! http://opr.as/i0y! I think adjusting the sync setting has a very big impact on the background data usage. you have a nice gig here and awesome info too! Thanks Aryan for your valuable feedback.